After a rural upbringing, Clive‘s first real job was with a country Western Australian TV station where, at 15 he directed produced his first TV pilot, Kidz Biz. Clive worked for Australian television networks 7 and 9, before at 25 launching Foxtel’s Comedy Channel as creative director. He drove record media sales while winning a record 30 global award in 3 years, and creating innovative brand-funded content ideas. 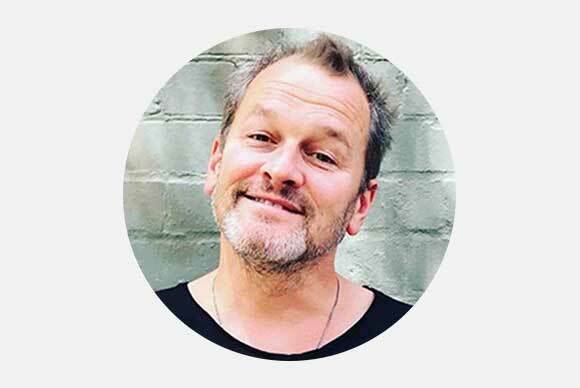 At 30, Clive formed The Conscience Organisation in NYC in 2000 born out of the idea of finding better ways of creating brand assets for clients at ‘palatable’ budget level.Be conscious of ourselves, our messages and have a positive impact on our communities. 40% was sold to STW / WPP in 2008 and purchased back in 2015. Major clients being Westpac, Nestle, Sanger, Contiki, Macquarie University, Australian Turf Club, Sumo Salad and more. Clive has founded several other businesses, The Human Race (fizzer), The Happy Farm (merged), Praise (fizzer), Give Art Science (ripper). He 2014 he launched Social Impact investment business, Thrivr Pty Ltd, which in 2016 co-founded an Australian agriculture and community platform, For Goodness Sake (ripper). As a member of YPO and Innovation Bay, he his actively involved with business locally and across the globe.